The board of directors of Statoil proposes to change the name of the company to Equinor. The name change supports the company’s strategy and development as a broad energy company. 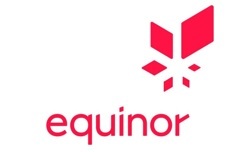 The name Equinor is formed by combining “equi”, the starting point for words like equal, equality and equilibrium, and “nor”, signalling a company proud of its Norwegian origin, and who wants to use this actively in its positioning. “The world is changing, and so is Statoil. The biggest transition our modern-day energy systems have ever seen is underway, and we aim to be at the forefront of this development. Our strategy remains firm. The name Equinor reflects ongoing changes and supports the always safe, high value and low carbon strategy we outlined last year,” says chair of the board in Statoil, Jon Erik Reinhardsen. “For us, this is a historic day. Statoil has for almost 50 years served us well. Looking towards the next 50 years, reflecting on the global energy transition and how we are developing as a broad energy company, it has become natural to change our name. The name Equinor captures our heritage and values, and what we aim to be in the future,” says Statoil’s President and CEO Eldar Sætre. The new name will be proposed to shareholders in a resolution to the Annual General Meeting on 15 May. The Norwegian government, as majority shareholder, supports the proposal and will vote in favour of the resolution. “Equinor is a powerful expression of who we are, where we come from and what we aspire to be. We are a values-based company, and equality describes how we want to approach people and the societies where we operate. The Norwegian continental shelf will remain the backbone of our company, and we will use our Norwegian heritage in our positioning as we continue growing internationally within both oil, gas and renewable energy,” says Sætre. Statoil’s strategy presented in 2017, sets clear principles for the development of a distinct and competitive portfolio. Statoil will develop long-term value on the Norwegian continental shelf, deepen in core areas and develop new growth options internationally. Statoil is one of the world’s most carbon-efficient producers of oil and gas, and will develop its low carbon advantage further. Statoil is building a material industrial position within profitable renewable energy, and expects to invest 15-20% of total capex in new energy solutions by 2030. “We delivered solid results for 2017 and are today in a strong position. We have strengthened our competitiveness, radically improved our project portfolio and have a clear strategy for further development of our company. As we position ourselves for long term value creation and to be competitive also in a low carbon future, we have been searching for a name that captures our heritage and values, and at the same time reflects the opportunities we see. I am confident that the name Equinor will support our strategy and vision to shape the future of energy,” says Sætre. “Once formally approved 15 May, we will start the roll out of the new name and brand. Equinor is a name that is forward-looking, and creates a strong platform for engagement and dialogue with a broad set of stakeholders. We believe it will create internal alignment and pride, and help attract capital, partners and talents,” says Reidar Gjærum, Senior Vice President for Corporate Communication in Statoil.